As most sites with "user" generated content, RocketNews24 can be a hit or miss experience. But mostly a miss, as I suppose its intended audience are otaku-wannabes in far away lands and teenage girls, who just "love Japanese culture". But mainly J-pop idols. Whoever they might be these days. Then, there are "articles" that on the surface give useful advice, but are nothing more than filler for ad space. The recent piece about 7 things you should know before moving abroad immediately comes to mind. Not sure what kind of lobotomized drones that one was intended for. If you so completely lack common sense that this "helpful" list was news to you, please, do yourself and the world a huge favor and stay at home. And then, there are articles, with obligatory catchy titles, that pretend to offer something new and exciting, but in reality are nothing more that the same stale, gag-inducing, regurgitated content. It's even more trying on your gag reflex, if such an article is committed by a Japan veteran, a journalist, and a person, who (supposedly) has some sort of intimate knowledge of the convoluted reality of this country. But you'd never know it from reading this piece. Yeah, these are the "8 things you need to do to really understand Japan" by the illustrious Ms Chavez. The same sort of drivel that could have been copied verbatim from any guidebook, or a more ambitious tourist brochure. Not sure how this itinerary for a 10-day package tour is supposed to help you understand Japan. To really understand Japan. The only thing missing from this list to make it an even more complete moron's idea of Japan is a visit to Harajuku and / or Shibuya. You want to REALLY understand Japan? One of the commenters had a few good ideas. 1. Go to an old people's home/ assisted living facility, or whatever the politically correct name is these days. See for yourself how Japan is going to look in the future unless either more babies are going to be born very soon, or the government eases immigration rules. Your visit will be the most exciting thing that happened to the residents in... oh, about the last decade. You'll be the star of the show, and not because you are a foreigner, but because you are a living, breathing human being. Don't speak the language? Don't worry. Chances are nobody's going to notice. Just smile and enjoy the glimpses into Japan's future. If you've read any of the alarmist news about Japan's aging population, you are, no doubt, aware of the problem facing this country. The nation is getting old. Literally getting old. What you don't see at the old folks' assisted living facility are the countless families where sons and daughters in their 60s or 70s care for the parents in their 90s. That should help you to REALLY understand Japan. To see the other end of the spectrum, go and take a look at the babies that are being born. The babies, who when they reach the ripe age of 6 months, go to a nursery school, so their mothers can work during the day. What? Women in Japan work after marriage? Unheard of! What? Mothers in Japan work after having babies? Can't be! This is contradictory to what's reported by every news source out there! Yes, shock and horror, mothers in Japan do work. Not because they want to, but because they have to. We're not talking about trailer trash here, but normal families, who are scraping by, working a string of part-time jobs to pay the bills and provide for their children. Some nurseries take babies as young as 3 months old. It must take a really heartless mother to do that. Or a really bad economy and a stack of household bills to pay. 3. 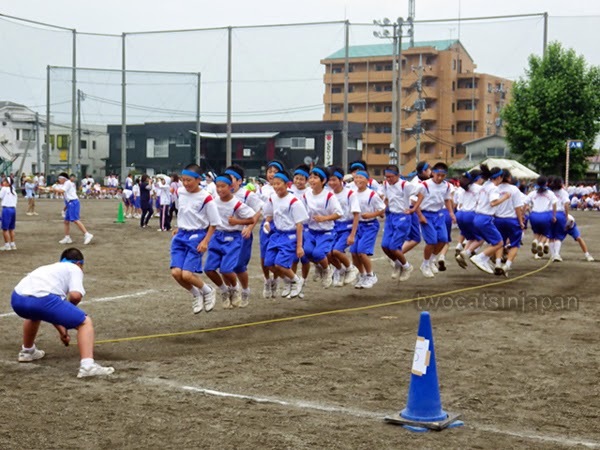 Visit a school, or a kindergarten, on sports day (undokai). It doesn't matter who wins and who loses. What matters is the team. Curious about Japan's conformist, obedient, herd collective? Start on a sports field during undokai. The Borg would be proud. That should also help you to REALLY understand Japan. 4. Missed the undokai season? No worries. Take a look at the yard or parking lot of any semi-large company early in the morning and enjoy "rajio-taiso". Watch as the employees in unison perform their morning exercises to the accompaniment of piped music. 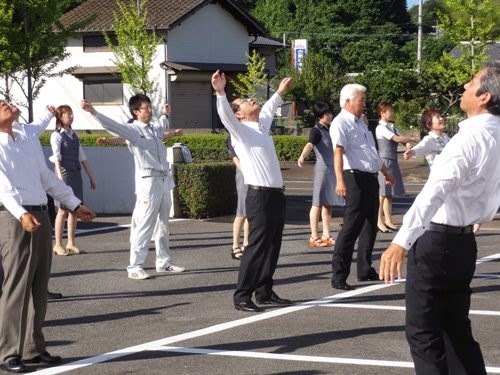 A magical moment when maintenance workers and salarymen are doing their part to build morale, foster a sense of group unity, and exhibit such collective mentality that many a cult would be put to shame. That should definitely help you to REALLY understand Japan. 5. Go to the countryside. Visit a farm. Or better yet, volunteer on a farm. See a familiar patter of old folk doing backbreaking work with nary a young face in sight. 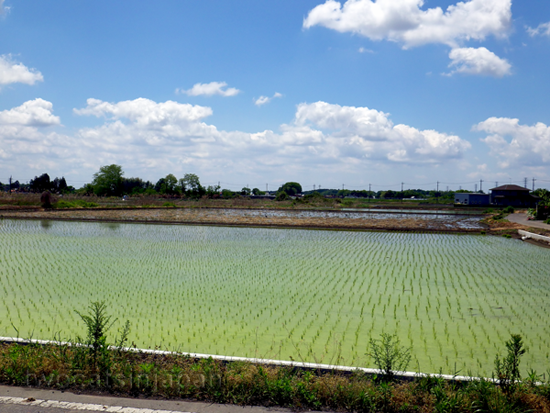 Who will grow our rice and take care of our cabbages, when the old farmers are gone? Ah, right, there's always food imports. 6. While you're there, go to a local countryside restaurant. You know, the type that is housed in somebody's converted living room, where there are no menus, and you get what grandma cooks for you from the produce that grandpa brought from the field. This is the Japanese cuisine that nobody told you about. And guess, what? It's delicious. 7. Go a step further - take a cooking lesson. Learn how to make udon the traditional way, how to cut fish for sushi and experience the 267 varieties of soy sauce. If that won't help you understand Japan, then nothing will. 8. Matsuris and pilgrimages are lovely, but they won't help you really understand Japan. Instead, you'll end up looking like a wapanese, weeabo (or whatever the correct term these days is) schmuck. How do I know? Been there, done that. 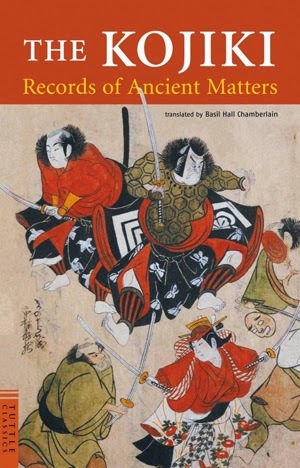 Instead, read the English translation of Kojiki and then visit one of the grand shrines of Japan. Izumo Taisha immediately comes to mind. That should most definitely help you to REALLY understand Japan. But if you just want to do what the tourists do and post some sweet shots to Instagram, then by all means, go see a geisha show, watch a sumo tournament, visit onsen. But please don't say that it somehow helped you to really understand Japan. Because regardless of what the internet gods of RocketNews24 might say, Japan is a lot more complicated than that.